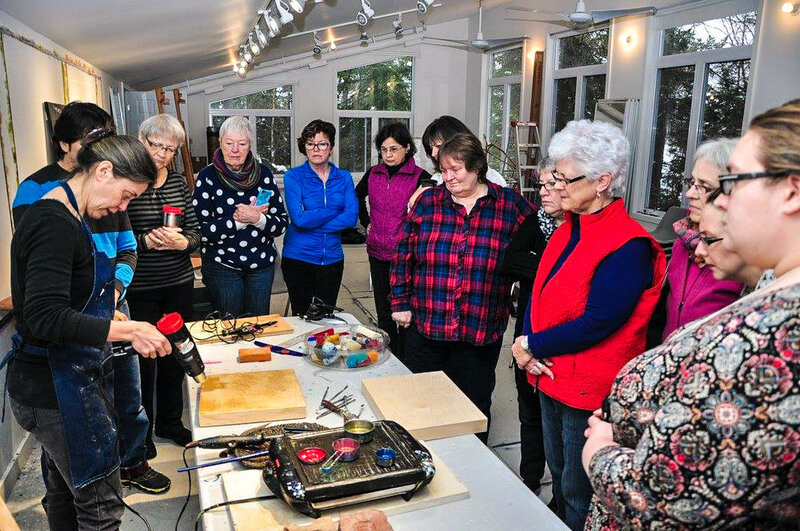 I was invited to direct a workshop on encaustic painting at The Museum of Northern History in Kirkland Lake, where my work Waiting is now on exhibit for a full year leading up to an exhibition of my work Parallel Lines in March 2018. I spoke about the history of encaustic painting, my own journey with encaustic painting and shared stories about the evolution of Parallel Lines — an interactive art installation and social engagement project. 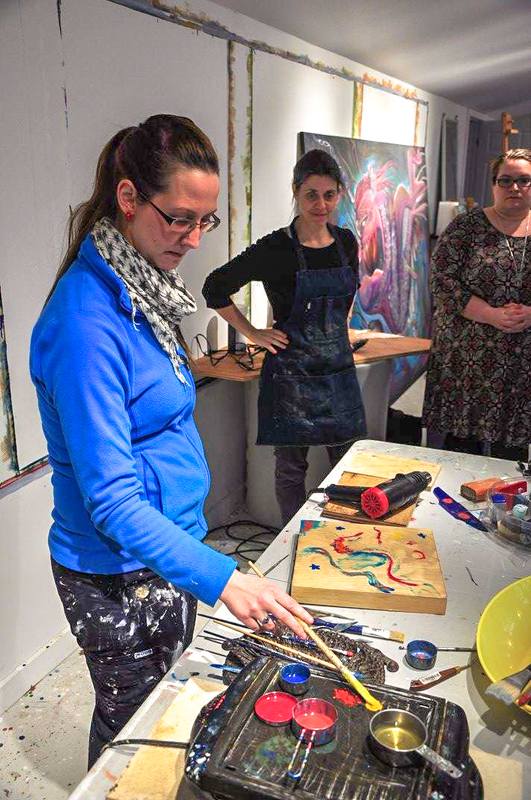 I then gave a demonstration of encaustic techniques. 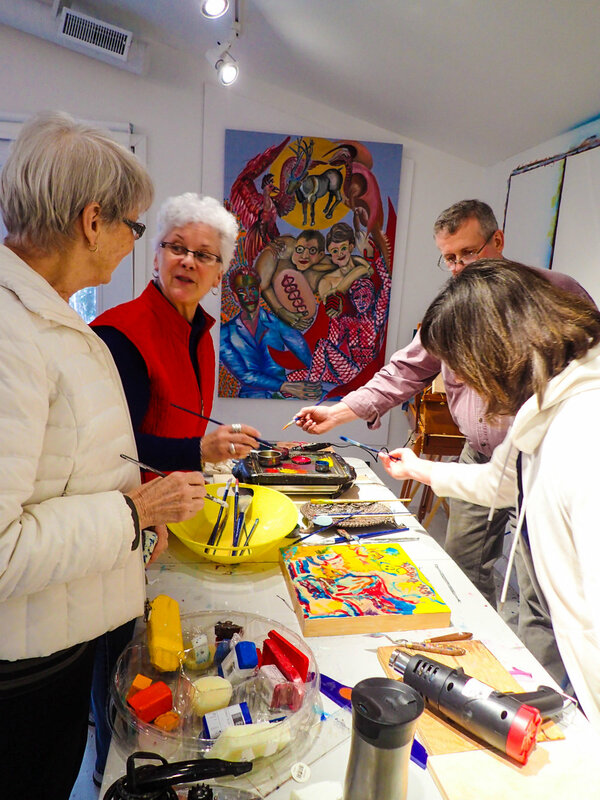 The hands-on demonstration workshop was held at Cesar Forero's wonderful painting studio which he also designed. Participants seemed to have quite a lot of fun. I certainly did. The community is very warm and welcoming.